Scott's Web Log: D-Blog Day: Our Offer Is Still Open!! D-Blog Day: Our Offer Is Still Open!! My friend Gina Capone (who's now a mother .. many congratulations to Gina and her husband!!) started this quite a few years ago, and we're fortunate that it endures even today. It's D-Blog Day. 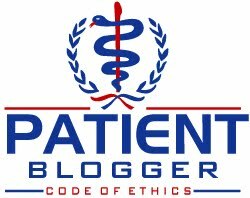 The 2012 theme is confronting the mainstream media; we're encouraged to write an open letter to any print, broadcast or online media outlet about handling diabetes — why it's important for them to cover it, what have they gotten right or wrong, and what the reporters and editors need to know when relating diabetes topics to the general public. 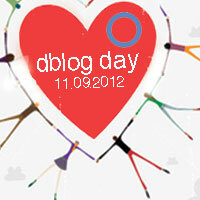 The link to all of the D-Blog Day posts can be found at: http://diabetestalkfest.com/blog/?p=507, and the Twitter hastag is: #dblogday. Oh, and before I forget, its worth sharing some fantabulous news ... the FDA has finally done it! There's now some formal guidance on the artificial pancreas!! Have a look at: http://1.usa.gov/S5mFnW for details. I'm blogging at Scott's Web Log, the first time in a while (I've still been busy with my other blog, which is known as "Havest Gold Memories" [http://hgm.sstrumello.com], but that's an unrelated topic) for D-Blog Day. As you probably already know, November is National Diabetes Awareness Month in the U.S. and has been recognized as such since 1975. It began getting Congressional and Presidential acknowledgment for almost as long. November 14 also marks World Diabetes Day, which became widely-recognized in 2006 when the U.N. passed a resolution acknowledging diabetes worldwide. The reason I'm bringing all of this up today is because our offer to you has not expired, it remains open and I would again encourage you to take us up on the offer! The media, by and large, does a REALLY poor job reporting when it comes to diabetes (which, to our reporter friends, is NOT a single disease, a critical fact a majority of articles fail to acknowledge). Let me add that merely going to a doctor (often any doctor who will take your calls while you're rushing on a deadline), especially one who might be a general practitioner, is probably not sufficient research. After all, there are dentists who happen to be M.D. 's, so don't make the mistake of presuming those "M.D." letters after their names automatically qualifies them to comment on your article or answer your questions. Also, many doctors have not had CME (continuing medical education) credits on diabetes in years, and even if they have, it may only be on a single aspect of one form of diabetes, sometimes paid for by the drug company hoping to sell more of their products. Instead, ask what you DON'T know, chances are there's a whole LOT you don't know! Don't presume you have a good story rushing to meet a publishing deadline, instead take a step back and do what great reporters have always done: investigative journalism. Use that to learn about the topic you're writing about and your stories may blow anything your rivals do away. You might enjoy your work more if you do! One resource you have available to you is US ... as patients with diabetes who can offer far more insightful perspective than some busy M.D. you pestered into taking your relentless calls as a favor. Tuesday, March 27, 2012 (BERKELEY, CA) – Did you know there are more than five different types of diabetes? If your knowledge of diabetes is defined by what you hear and see on the news or in movies then you probably don't. Diabetes Advocates, a nonprofit program made up of influential members of the diabetes community has launched a media outreach campaign, designed to assist the media on all things diabetes. Kelly Kunik, a member of Diabetes Advocates, stated: "Today is Diabetes Alert Day in the US and we are trying to stress to all media sources that more due diligence is required on everyone’s part when reporting on diabetes. We want to help all sources 'get it right' but also stress the importance of explaining the differences among 'all things' diabetes." Despite the fact that media outlets are reporting on diabetes more than ever, the condition is still widely misrepresented and portrayed as only one disease, when in actuality, diabetes is made up of several different diseases (type 1, type 1.5 LADA, and type 2 being the most predominantly confused). By emailing the organization at media@diabetesadvocates.org, reporters can quickly fact check, get suggestions and have a real-time conversation with the Diabetes Advocates to ensure the accuracy of their articles. The Diabetes Advocates can also serve as sources for reporters. Diabetes Advocates is a not-for-profit program run by the Diabetes Hands Foundation. The program combines the resources of its members to do activities to better educate the public about all aspects concerning diabetes. For more details, visit: www.diabetesadvocates.org.